The Star lead is made with leather, patent leather trim, quality hardware, and studded with stars. Lead is white with either blue or red stripes and gold stars. 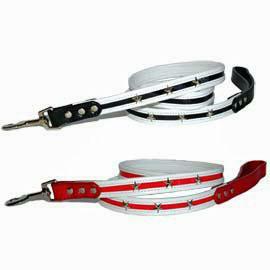 This is the matching Leash for Dogo Design's Star Collar.